According to a recent poll conducted by Kovasys IT Recruitment with their Canadian client base - 91% of tech departments in Canada are ready to hire additional staff in 2012. According to a recent poll conducted by Kovasys IT Recruitment with their Canadian client base - 91% of tech departments in Canada are ready to hire in 2012. Corporate Canada is ready to hire IT personnel, according to the newly released report conducted by Kovasys Inc. via SurveyMonkey.com survey tool where Kovasys, a tech recruitment company with offices in Toronto and Montreal and operations in New York City and San Francisco held an annual survey of their Canadian clients. Over thirty CEOs, CIOs, managers, and directors from the provinces of Quebec and Ontario responded to the survey. More than 91% of these employers said that their firms' IT department (system administrators, technical support, developers, etc.) will increase over the next year. 52% of the companies said they are facing IT shortage that restricts their ability to meet demand for hiring quality IT candidates in 2012. The tech market is usually the first one to rebound before the full recovery of the economy. "Businesses with IT departments are confident and ready to hire. The market has gotten extremely hot," says Alex Kovalenko, Director of Operations at Kovasys. "Canada and especially Montreal and Toronto are coming back to the days when tech candidates have two or three job offers," he says. Most of the time in the past few years Kovasys was asked to find only one employee to replace another when needed. Now companies are asking for full teams of employees. 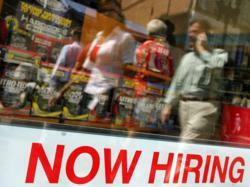 Canada is optimistic and willing to take on the risk of hiring new employees. Hiring at this magnitude is exactly what the economy needs at this point in time. Companies are no longer concerned about the risks involved, and are ready to move forward into a fully recovered economy with talented staff. IT professionals have no need to take the first job opportunity that comes along, or worse, find no opportunities at all. Many attending job fairs and recruiting events are getting more than one job offer and weighing their options before making a decision, a luxury that didn't exist just last year. The economy is beginning to return to a healthy state. Kovasys Inc. is one of the leading IT headhunting and technology recruiting agency, established in 2005, that provides permanent and contract IT recruitment services. Headquartered in Montreal with operations in Montreal, Toronto, New York and San Francisco. - Kovasys offers staffing and IT consulting to help our clients conceptualize and realize technology driven initiatives. For further questions on technical recruitment advice, feel free to contact Kovasys Inc. at 888.568.2747. SurveyMonkey is a private American company that enables users to create their own web-survey, using free and enhanced paid products and services. The company's offices are located in Palo Alto, California and Portland, Oregon.